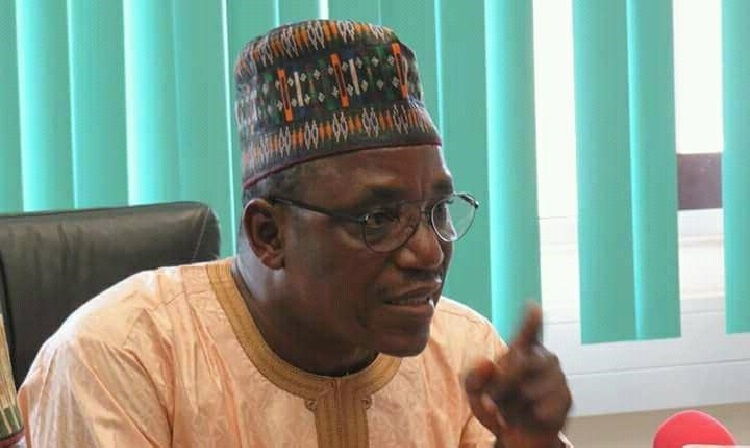 The Minister of Youth and Sports, Barrister Solomon Dalung has dismissed a claim by one purported civil rights organization, the Centre for Human Rights and Social Justice (CHRSJ) that the sum of N7.5 billion has been “criminally diverted” by the Ministry of a Youth and Sports. He described the allegation as a cheap attempt to hug the headline in a quest for relevance as he said no money was ever approved from the Ministry or Presidency for such bogus venture. Dalung wondered why the said Civil Righty Organization whose watchword should be civility, truthfulness and fairness could claim such amount was approved by the Presidency for a World title fight by Bash Ali. He wondered why Bash Ali who is a senior citizen could descend to such an all time low at the expense of other people’s integrity. “Before I assumed office as Minister of Sports, Mr Bashiru Ali fought my predecessors just under the guise of hosting a world championship bout. He has also employed same violent antics against the MD of Nexim bank which landed him behind the counter. He charged Bash Ali and his cohorts to channel their marketing drive towards the private sector who will be more than interested in bankrolling the fight if he is truly what he claims he is. Dalung revealed that a legal redress will be sought against harbingers and publishers of malicious stories. “This is so sad that anybody who lays an allegation against Dalung will be given an express permission in Vanguard without being asked for a concrete and defensible facts. As a Nigerian with an inalienable right to seek redress, my lawyers are in the process of approaching a competent court of law. Enough is enough,” Dalung concluded.